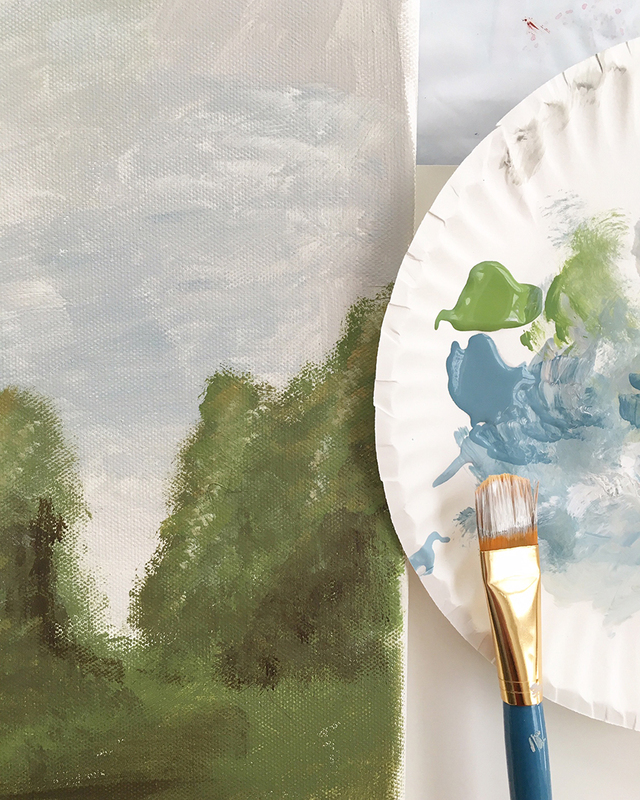 Easy DIY Landscape Painting How-To for the Beginner! 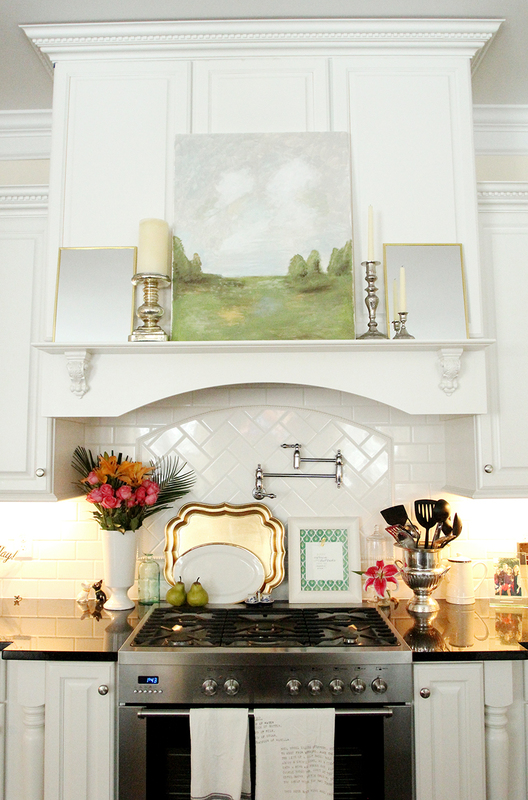 Y’all, I’m writing this post to you with my best motivational speaker-like enthusiasm because I’m pretty excited about my new art in the kitchen! I took a stab at a piece I saw that I liked, and it turned out even better than I expected… all for around $15! And for some more good news– if I can do this, you can, too! So, I’m sharing the steps and techniques I used so you can give this a try yourself if you feel the urge! 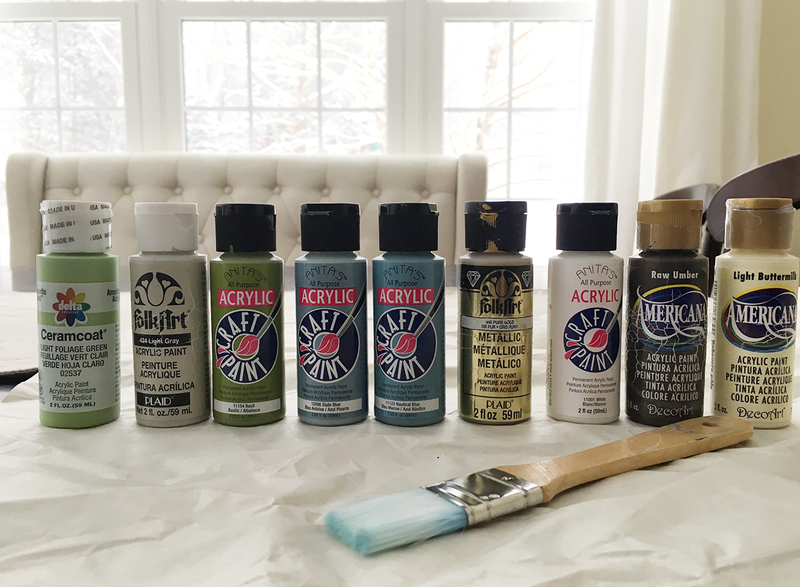 So, I bought a large 24×30 canvas from Hobby Lobby with my 40% off coupon, and since I have a large collection of acrylic craft paint, I only needed a few more colors. I don’t have expensive brushes, I just used my basic ones in different sizes. Keeping my inspiration in front of me, I started with the sky and worked down. 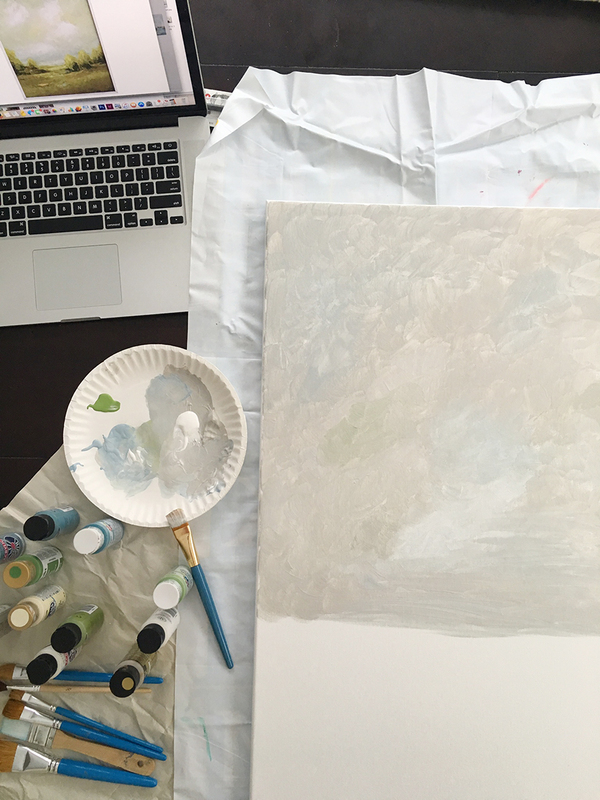 Using a paper plate, I poured out a blob of the gray, the blues, and the white and just started brushing it on. I used mostly gray, swirling on a little of the blue and white, and even a tad of green here and there. 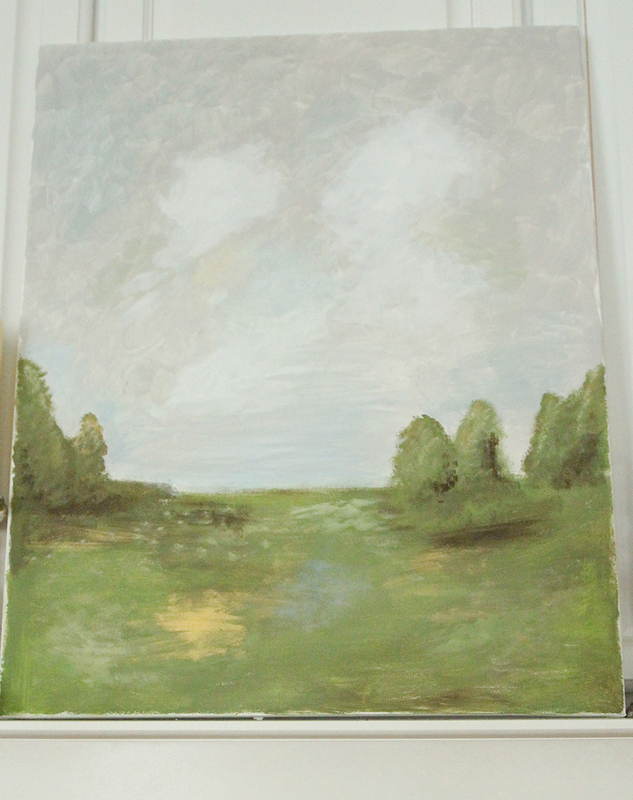 After filling the top two-thirds of the canvas with the sky, I worked on the grass and trees on the bottom third. 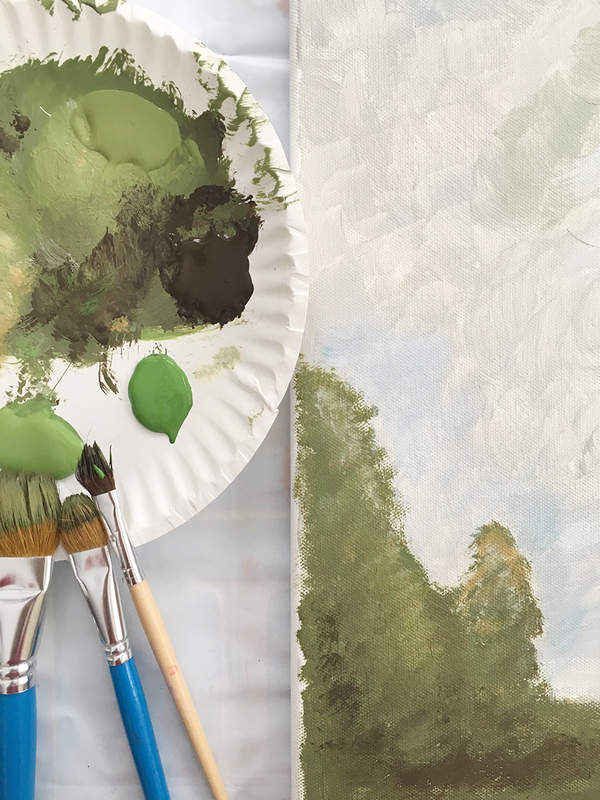 I noticed the trees and grass were made up of many different shades of green and brown together, so I tried to keep that in mind as I kept layering on different colors. And that was pretty much it! It only took about an hour and it was tons of fun! I’m sure the technique is not quite what a true artist would do, but it works for meandthat’s all I need! I’m already ready to do another one for my mantel. I may even frame this if I can find a frame I like. 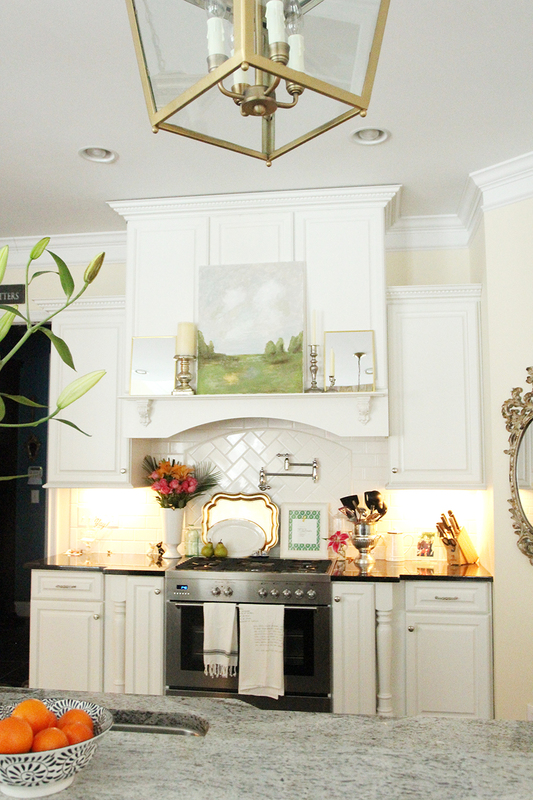 Painting your own art like this not only saves you money, but it gives you a sense of accomplishmentand that individual style element that makes your home yours. 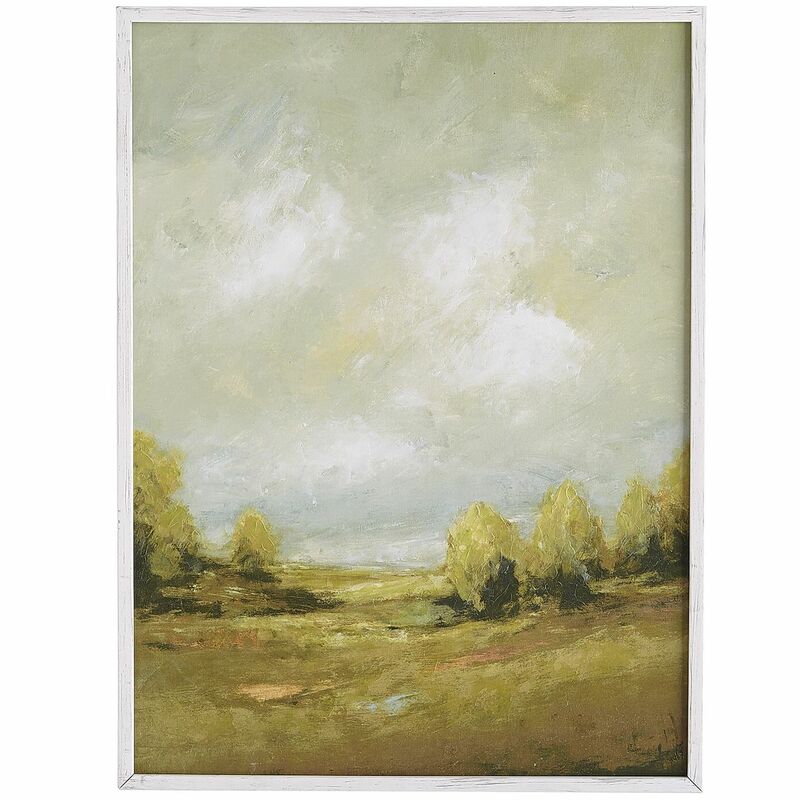 Plus, it allows you to choose the exact size of the art and the colors you want foryour decor. And if you mess up, you can always paint over it and start again! So, what do you think? Are you ready to give this a try? If you do, I’d love to see your version, so be sure to share it with me by tagging me on Instagram orsharing on my Facebook page! This entry was posted in Uncategorized and tagged Art, Decorating, DIY, Kitchen, Painting. Bookmark the permalink. Follow any comments here with the RSS feed for this post. Post a comment or leave a trackback: Trackback URL. 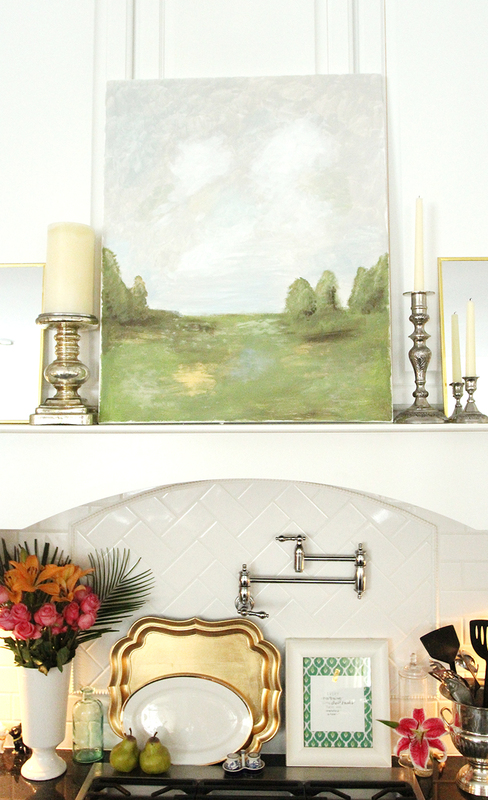 « Breakfast Room Refresh and Restyle! You make it looks so easy! I have zero artistic ability so it seems a little scary to me but I guess if I had an art piece to copy directly from, I could come up with something…now you have me thinking! 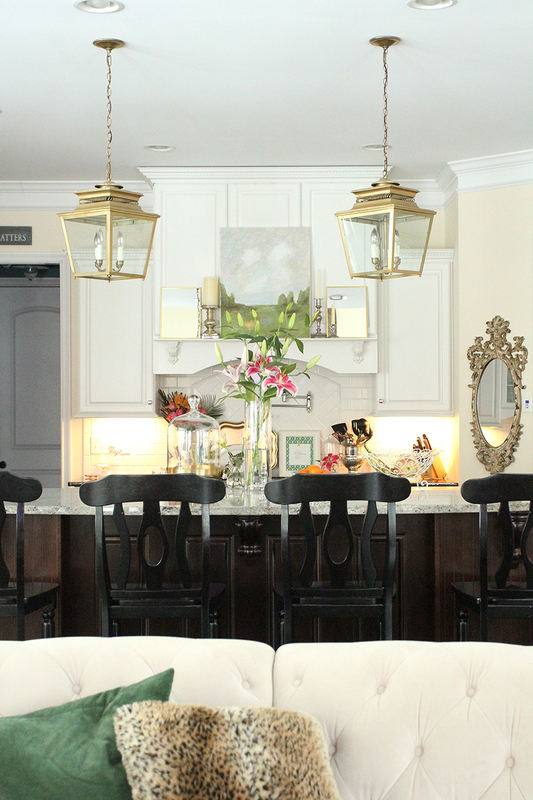 By the way, the gold accents in your kitchen are beautiful and I love that you used black stools with your island. 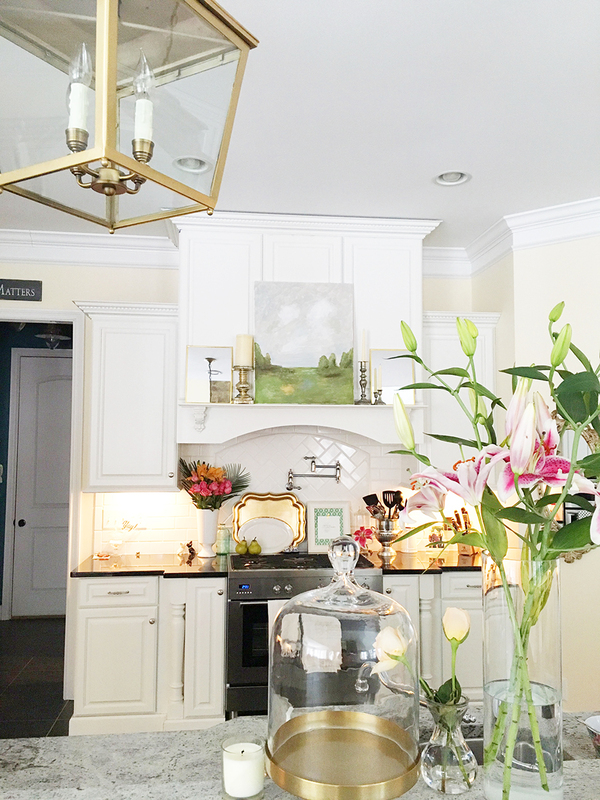 I also have a white kitchen with a cherry stained island and have not bought any counter stools yet because I cannot commit on a color…or style…or anything! Anyway, great job on the art. I feel inspired! great job. 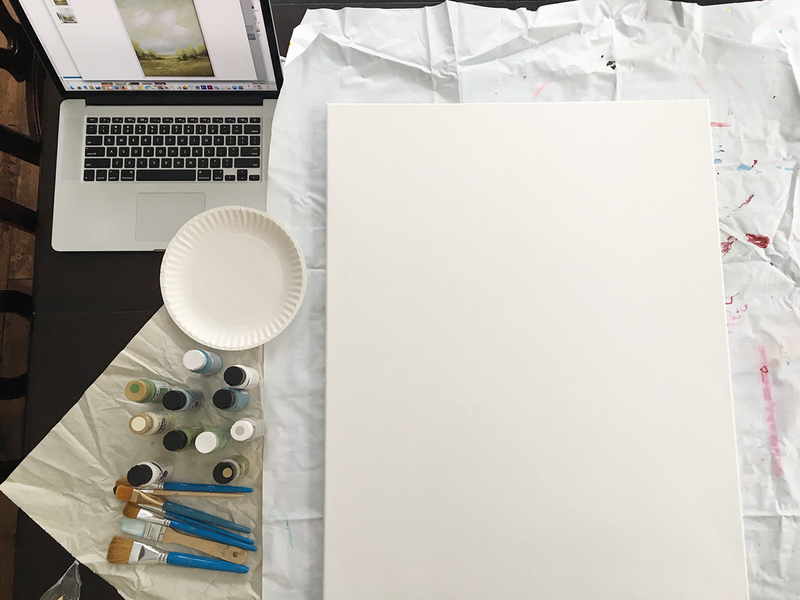 i have always want to paint but I am probably way too critical of my work. Beautiful job, it's definitely harder than it seems! So, basically, if I follow your instructions, I can be an artist for Pier 1 – starting today? You are awesome! I absolutely fell in love with this when I saw your version on instagram. 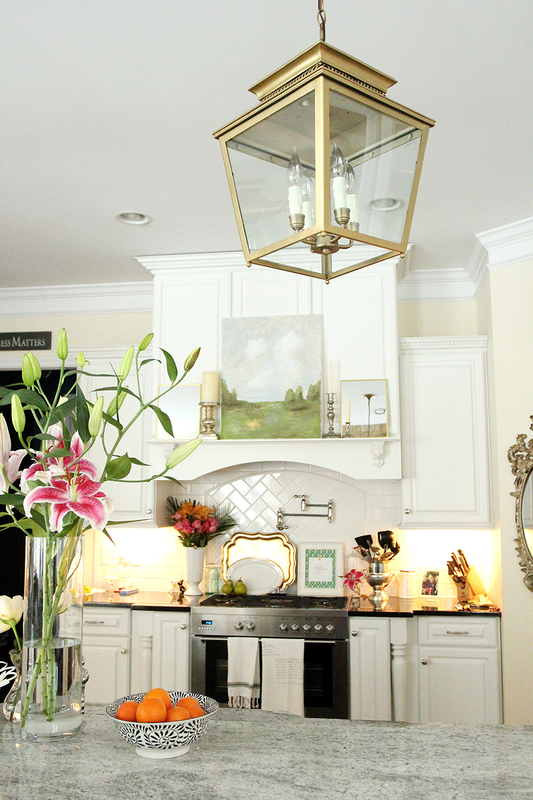 I'm going to have to give this a go, I think it would be so pretty in my home as well! Love the painting you created. It turned out beautifully.